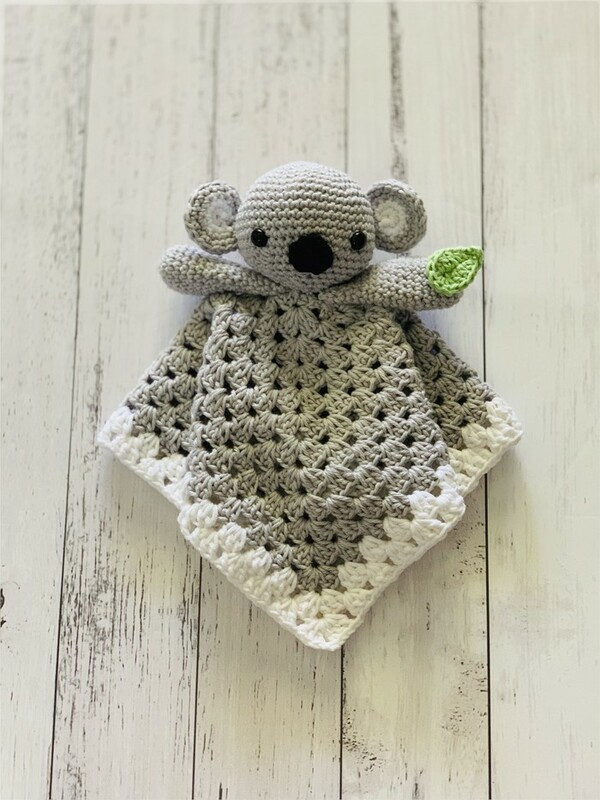 This gorgeous Koala Lovey Blanket is hand crocheted in 100% cotton yarn. The blanket is a 27cm granny square which has holes ensuring that it is not a suffocation risk as well as providing a tactile experience for baby which helps to develop fine motor skills. The koala features plastic safety eyes, floppy ears & arms and a gum leaf, further adding to the tactile experience as well as being super cute! !